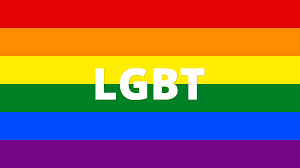 We have collaborated with The Outside Project to host a weekly LGBTIQ Hub on Monday evenings. These new sessions will provide a safe space for Camden’s LGBTIQ community, where attendees can: find advice & support, get involved in artivism/activism, or just sit in a warm, quiet space with some queer literature and tea. In addition to the weekly sessions we will also be opening our doors on Christmas Day for a special dinner. We know that the festive season can be a tough time for the LGBTIQ community, especially for those who have suffered religious oppression, are marginalised, or experiencing homelessness. Therefore, we will be hosting Outsidermas with The Outside Project. 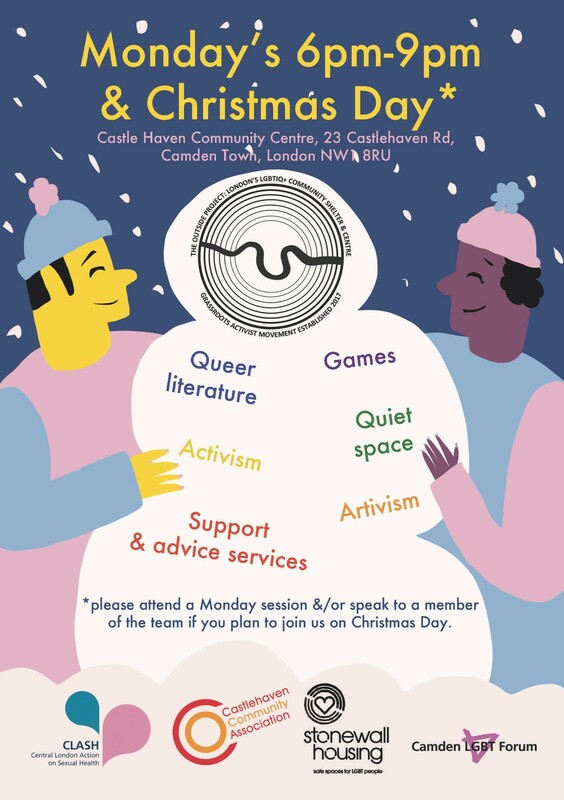 If you would like to attend the dinner on Christmas Day please let a member of The Outside Project crew know at the Monday Hub, or email Community@LGBTIQoutside.org ASAP, as spaces will fill up quickly! For more information on The Outside Project please contact Carla.Ecola@LGBTIQoutside.org.